We’d love your help. 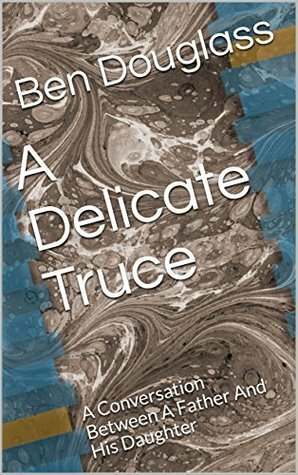 Let us know what’s wrong with this preview of A Delicate Truce by Ben Douglass. A shocking conversation between a Jewish businessman and his adopted Ethiopian daughter. Power, privilege, money, and even the Middle East Conflict converge between these two people who are simply trying to live their lives the best way they know how. To ask other readers questions about A Delicate Truce, please sign up. Ben Douglass, A Delicate Truce is a brief report of a generational collision between a father and a daughter, both anchored by their own experiences that leave them unwilling to cross the generational divide. The adopted daughter Lisa lives in a world informed by revolutionary youth, a young woman seeking to understand her roots in a world she does not remember, having been transplanted into a middle-class Jewish household. Arnie Sussman, a father who loves his child, is lost in the face of the Ben Douglass, A Delicate Truce is a brief report of a generational collision between a father and a daughter, both anchored by their own experiences that leave them unwilling to cross the generational divide. The adopted daughter Lisa lives in a world informed by revolutionary youth, a young woman seeking to understand her roots in a world she does not remember, having been transplanted into a middle-class Jewish household. Arnie Sussman, a father who loves his child, is lost in the face of the young woman she has become and find himself unable to understand how the world he sees filtered by nuance and gray tones is for her slashed with jagged lines of black and white.